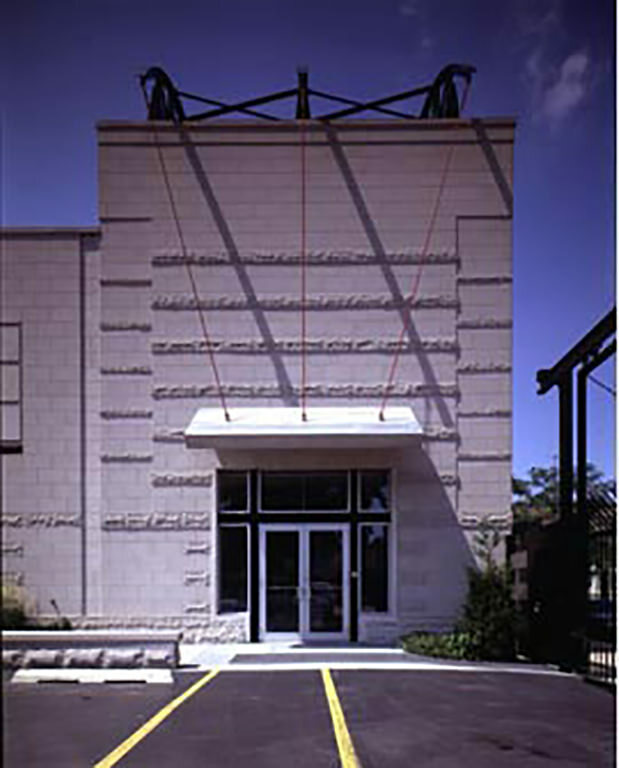 The headquarters for Chicago’s largest commercial director features a main studio formed by massive stone walls. The interior is organized around a 20-foot high curved hallway that orients the circulation space, commercial kitchens, and lobby. 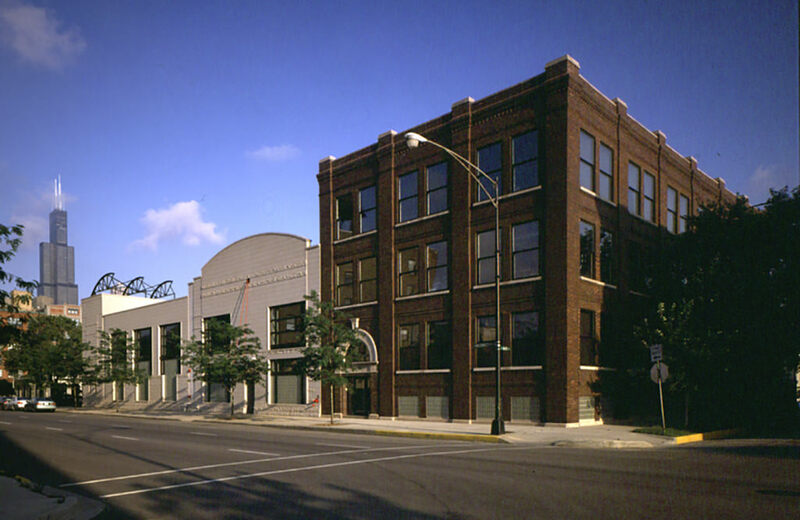 The building houses two stages, conference rooms, offices and storage for props. The brushed aluminum reception desk is inspired by the sculptor David Smith.